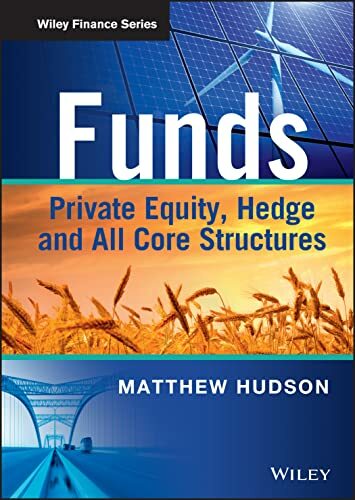 [PDF] Funds: Private Equity, Hedge and All Core Structures (The Wiley Finance Series) | Free eBooks Download - EBOOKEE! Description: Investment funds are the driving force behind much global private economic development, and yet the world of investment funds can be complex and confusing. Funds: Private Equity, Hedge and All Core Structures is a practical introductory guide to the legal and commercial context in which funds are raised and invest their money, with examinations of the tax and regulatory background, and an analysis of the key themes and trends that the funds industry face following the financial crisis. The book looks at asset classes, investor return models, the commercial and legal pressures driving different structures and key global jurisdictions for both fund establishment and making investments. It also contains a comprehensive analysis of fund managers, from remuneration, best practice through to regulation. The book is written for readers from all backgrounds, from students or newcomers to the industry to experienced investors looking to branch out into alternative asset classes, or existing asset managers and their advisers wanting to know more about the structures elsewhere within the industry. No comments for "[PDF] Funds: Private Equity, Hedge and All Core Structures (The Wiley Finance Series)".